Here’s our latest and most current service offering. 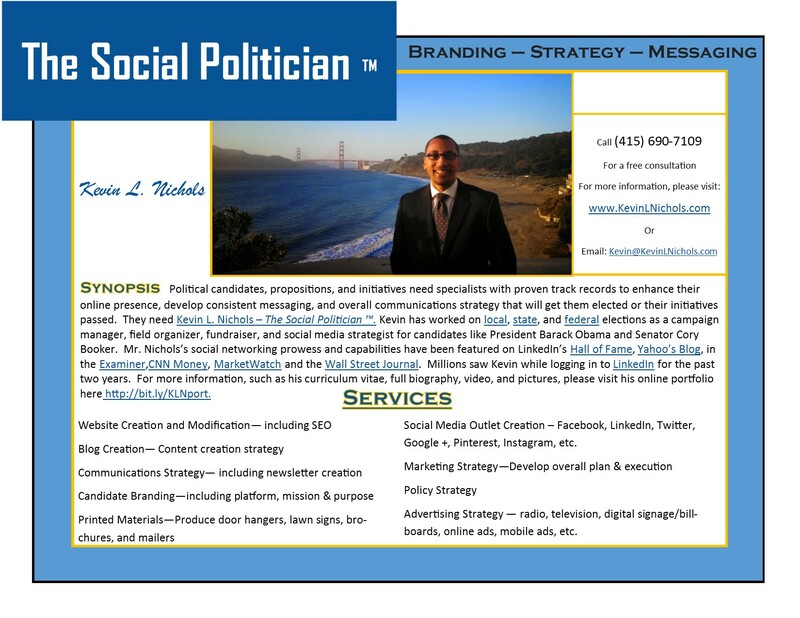 If you are a candidate running for office, supporting a proposition or initiative, or a company who has a product/service to launch or would like to increase your marketing presence, please call (415) 690-7109 for a free consultation. By KLN Consulting Group in Uncategorized on September 10, 2014 .